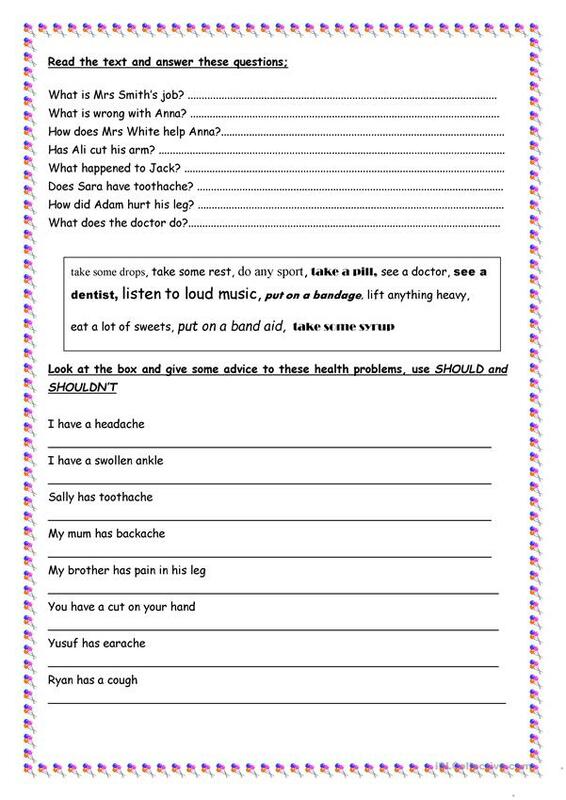 A text about illness with comprehension questions and also give advice with should/shouldn't. hope it's useful! This downloadable worksheet was created for high school students and elementary school students at Elementary (A1) and Pre-intermediate (A2) level. It is great for teaching Adjectives to describe feelings / mood / tone in English, and is excellent for enhancing your groups' Reading and Writing skills. adiri is from/lives in United Kingdom and has been a member of iSLCollective since 2013-03-05 11:34:10. adiri last logged in on 2019-04-21 01:34:35, and has shared 69 resources on iSLCollective so far.